Looking for unbeatable value? We asked six Decanter experts to choose the region or wine they feel is seriously underrated, and recommend the 12 bargains that you should snap up. Alsatian Sylvaner is one of the world’s best-kept secrets: many wines are truly worth twice the price they sell for. Some producers still churn out industrial levels of neutral, insipid Sylvaners, but the best range from being delightful and delicious to truly profound, world-class wines made from late-harvested grapes, offering uncanny richness, depth and some sweetness. Why are Alsace’s best Sylvaners so uniquely great? The main reason is extremely old vines (often 50 years or more) – a fortunate situation that is the result of unfortunate legislation. An ill-conceived 1962 law decreed only Gewurztraminer, Pinot Gris, Muscat and Riesling were ‘noble’ grapes worthy of planting in grands crus. Not surprisingly, Sylvaner vines were uprooted from such sites, as the wines would not sell at the higher prices fetched by having the grand cru name on the label. 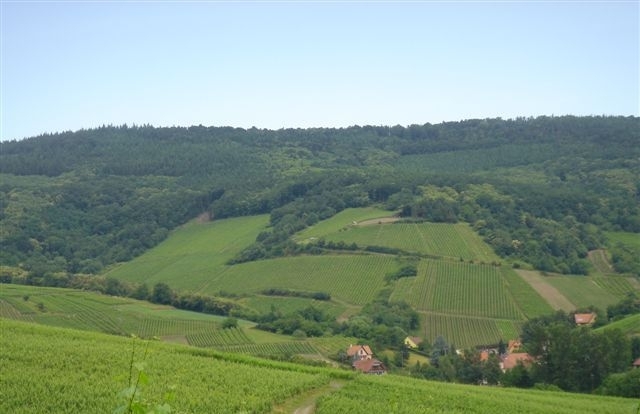 This also resulted in increased plantings of the four noble varieties (in 1976, Pinot Gris represented only 3% of area under vine in Alsace; today it is 15%), tellingly even in unsuitable sites for those varieties. The result is that there are now many insipid Pinot Gris made from supposedly hallowed sites. But things are looking up: the Alsace vineyard area planted to Sylvaner (4% today compared to 15% in the 1980s) may be increasing, as producers have told me recently they will be planting more. Simpler, crisp and clean Sylvaner wines are made by Albert Boxler, Leon Beyer (The Wine Society sells the 2013 for £8 a bottle), Dirler-Cadé (from 50-yearold vines in the heart of the Kessler grand cru), Domaine Weinbach, Hugel, Josmeyer, Kuentz-Bas, Muré and Ostertag, all of which are redolent of white flowers, delicate herbs and quince. Agathe Bursin and Albert Seltz’s are much deeper: Seltz owns old vines on the Zotzenberg grand cru where Sylvaner was historically famous. Last but not least, the late-harvested Sylvaners by Burn from extremely old vines in the Clos-St-Imer are world class: rich and deep, redolent of honeyed quince, marmalade and cinnamon. He sells them for an unbelievable €5 at his cellar: taste to believe!